It’s been more than six years since you visited Empire Bay in Mafia II. 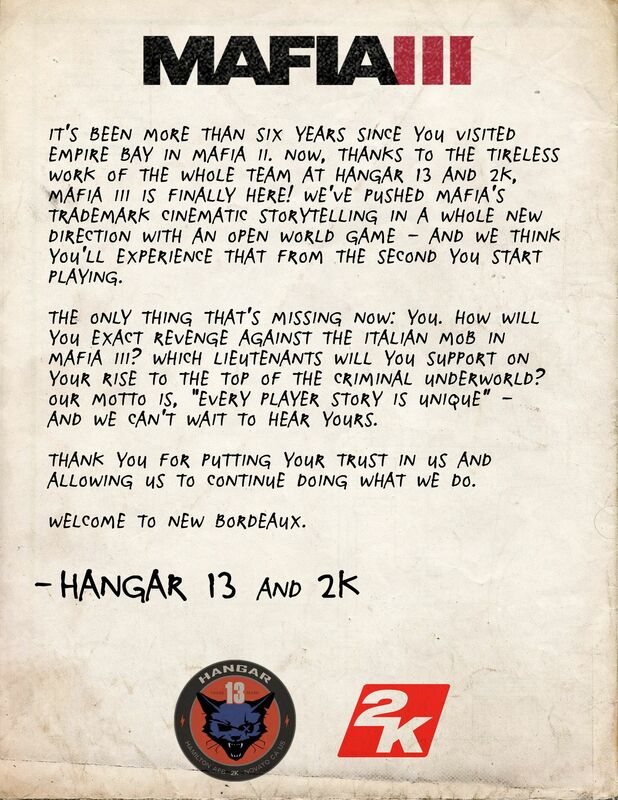 Now, thanks to the tireless work of the whole team at Hangar 13 and 2K, Mafia III is finally here! We’ve pushed Mafia’s trademark cinematic storytelling in a whole new direction with an open world game – and we think you’ll experience that from the second you start playing. The only thing that’s missing now: You. 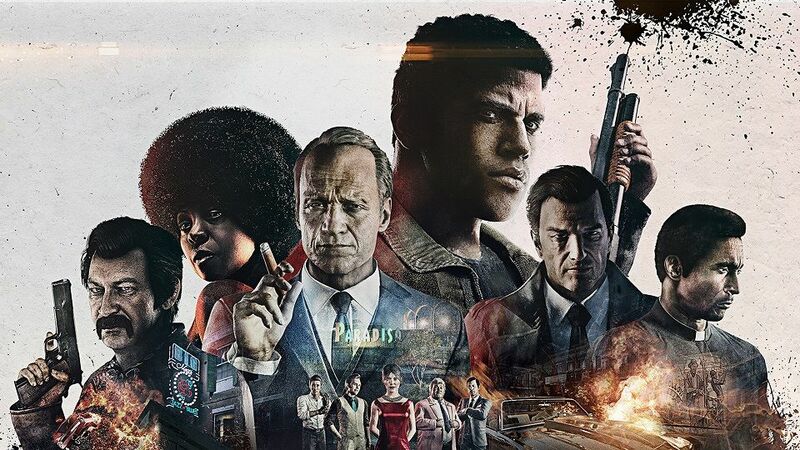 How will you exact revenge against the Italian Mob in Mafia III? Which Lieutenants will you support on your rise to the top of the criminal underworld? Our motto is, “Every player story is unique” – and we can’t wait to hear yours. Thank you for putting your trust in us and allowing us to continue doing what we do.